Are you looking for a sewing machine that has the key features you want for a price that you can afford? Do you want a high quality machine that will stand up to some difficult tasks without compromising on the quality of each stitch? The Janome Magnolia 7318 offers you some of the best ways to take advantage of the modern styles that people love today. With customizable stitches that are up to 5mm wide and 4mm long, you can be bold or traditional with just the turn of a dial. You can even save $50 on this unit by shopping on Amazon today! What Are the Key Features of the Janome Magnolia 7318? there’s an extra high presser foot lift and included drop feed dog to help start or finish any job with greater ease. If you’re looking for a sewing machine where form truly does meet function, then this version of the Janome Magnolia has a lot to offer. It’s easy to thread, simple to maintain, and will help you create stunning masterpieces in a fraction of time! 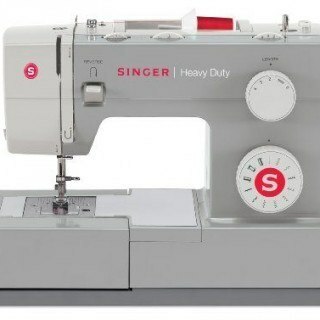 Is There an Advantage To Using This Particular Sewing Machine? We really love how Janome has designed the threading process and believe that this is the sewing machine’s true advantage. The needle eye faces toward the front for you so you don’t feel like you need to take some neck gymnastics classes just to figure out how to threat it. It works great, won’t destroy your budget in order to own it, and will provide you with amazing results on a consistent basis. That’s why it is one of the best sewing machines out there right now! The one downside of this Janome sewing machine is that it isn’t computerized. It takes a little getting used to since you’ve got to stop the needle in the right position, but once you get the hang of it, there aren’t really any problems that come up when using it. It’s simple enough to use for someone to learn how to sew, yet is powerful enough to be a solid back-up for the professional. This Janome is a solid machine and will let you enjoy sewing without any regrets. It handles multiple fabrics, but is versatile enough to let you finish off a quilting project. 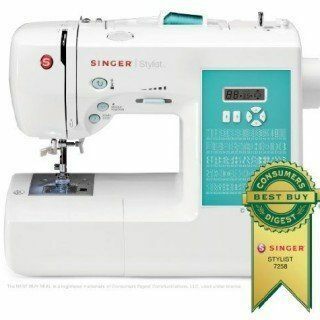 That’s why we’re recommending this sewing machine to you today! Click here to look at pricing on Amazon and buy theJanome Magnolia 7318 Sewing Machine.